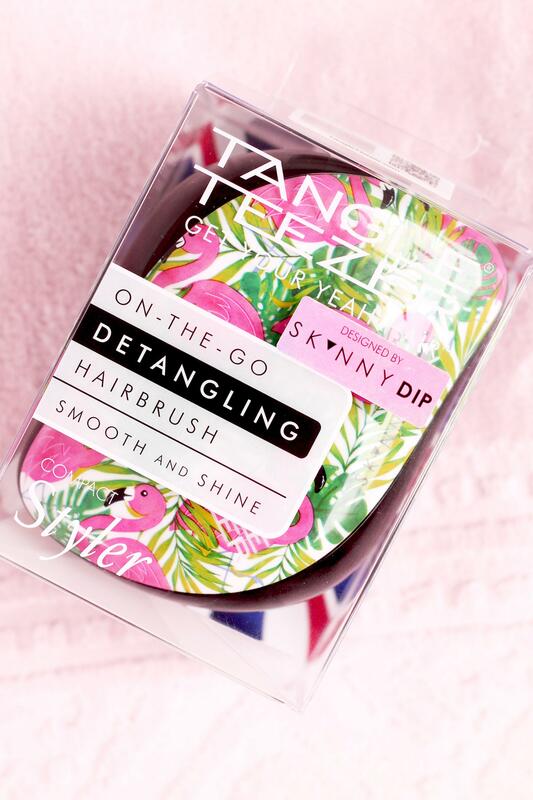 I bet you’re all thinking, ‘how can a detangler be dreamy’?, well have you seen the newest collaboration between Tangle Teezer and Skinny Dip? -say no more. When I saw this in the new grab and go mini section at work (Space NK) I just had to purchase it. It’s compact, mini and has pink flamingos all over it. -Sold! I am such a sucker for all things mini and travel size; we have a new section just by the tills now at Space NK and everything in there I want, defiantly check out your nearest store for all the travel goodness you need this summer (not an ad, just freaking love minis). 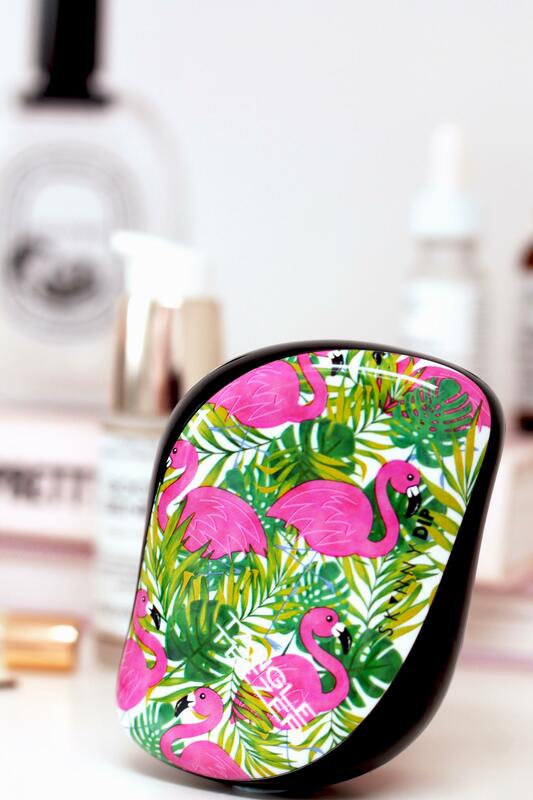 This colab is just a dream, I love the original tangle teezer and have done for years but I’ve never brought one of their compact, travel friendly versions. As I mentioned in my previous post (July goals, if you missed it), i’m travelling quite a bit over the summer, so a travel friendly hair brush is just want I needed. The pink flamingos and palm trees are currently my favourite things, they remind me of summer and topical weather, which makes me feel really happy and uplifted. I can already tell this is going to be my go-to travel partner this summer. Good work Skinny Dip, you never disappoint. 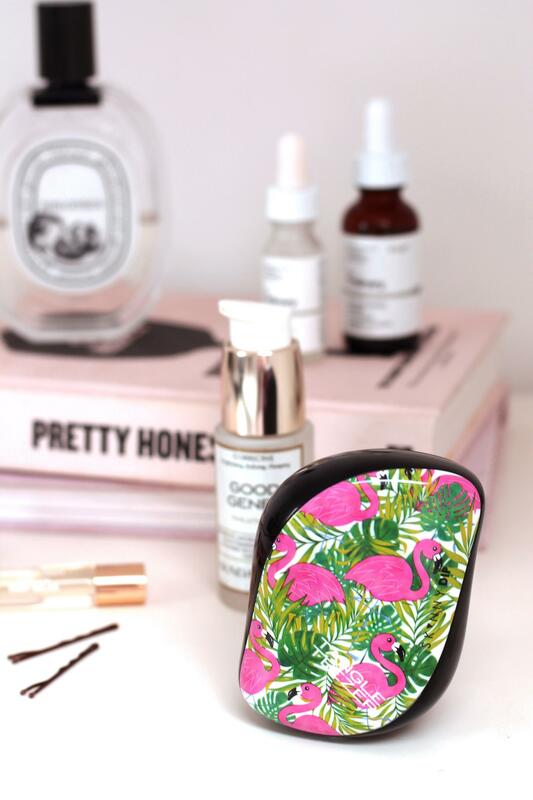 What are your thoughts on the new Tangle Teezer X Skinny Dip colab? Do you think it’s just as dreamy as I do?